Commonly found on the ground, although can also be an adept climber. Droppings are rod-shaped. Size: They are round and slender, ranging from 7 to 10 cm long in body length. Head: Deer mice have a pointed nose and large, black beady eyes. Their ears are large with little fur covering them. Color: Their bodies are bicolored with a light brownish-reddish top and white underbelly and feet. Tail: These pests have short tails, distinctly bicolored (dark on top and light on bottom), and covered with short, fine hairs and can be 5 to 13 cm in length. How Did I Get Deer Mice? Deer mice are attracted to homes with plenty of vegetation and protective sites with piles of rocks or firewood in the yard. These pests may sneak into cabins and barns as well as homes in residential suburban and rural areas when cold weather hits. These mice are small and move indoors through tiny openings near the ground. They may also climb to upper floors using vines and tree branches to sneak into attics. How Serious Are Deer Mice? 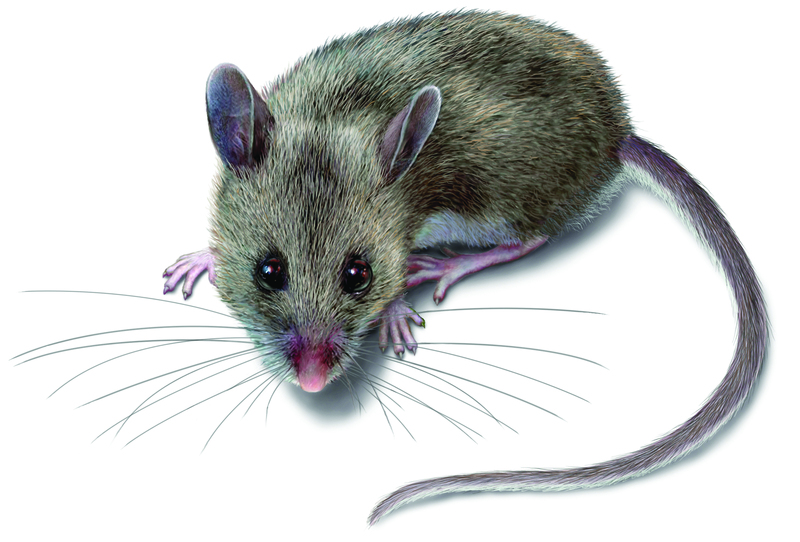 Deer mice have several problematic habits inside homes. They build messy nests inside stored furniture or mattresses and cache food indoors. These stored nuts and fruits may attract insects and other pests into the home. Deer mice may appear harmless, but they are known carriers of dangerous diseases that may spread through mouse parasites or contaminated food. Deer mice (Peromyscus maniculatus) should not be confused with one of the important reservoirs of Lyme disease, the white-footed deer mouse (Peromyscus leucopus). These rodents are one of the main carriers of hantavirus pulmonary syndrome, an illness transmitted through their waste. People who try to clean up their droppings or who simply live in an infested building may inhale this airborne virus. How Do I Get Rid of Deer Mice? Your local Orkin technician is trained to help manage deer mice and similar pests. Since every building or home is different, your Orkin technician will design a unique program for your situation. Orkin can provide the right solution to keep deer mice in their place and out of your home or business. Deer mice are most commonly associated with prairies or other bushy, wooded areas. These pests prefer areas with tall grass or brush for cover, particularly in woodlands and grasslands. Deer mice live an average of two to 24 months, but can live as long as eight years in captivity. They reach sexual maturity in about 7 to 8 weeks. They produce two to four litters a year, usually during warm months. Typical litters contain three to five individuals, but may have as many as eight.